It was a lovely and calm morning for this big lift. 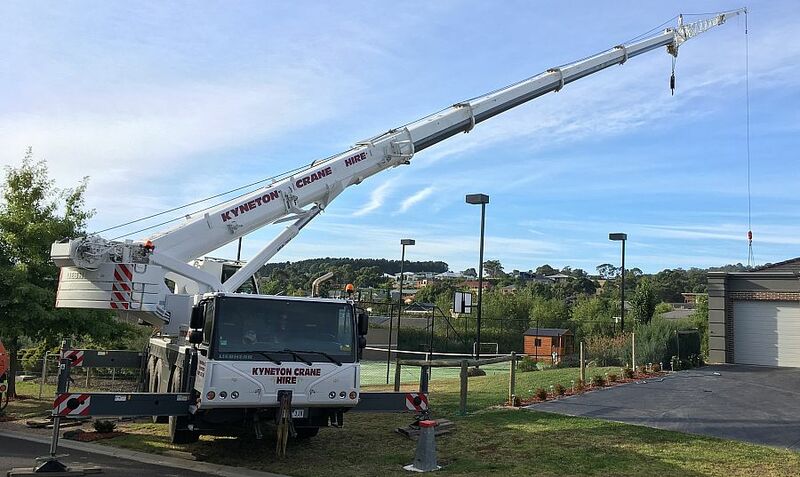 The pool had to go 46m over the house in Gisborne and required full counterweight & fly. 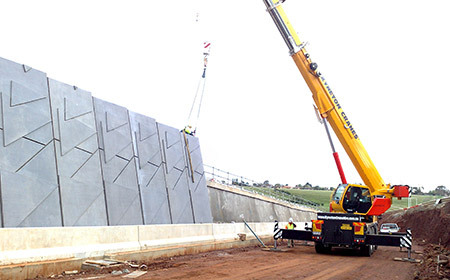 Our 55t Liebherr and 60t Demag relocated a 35tonne Scraper from Sunbury to Lancefield. 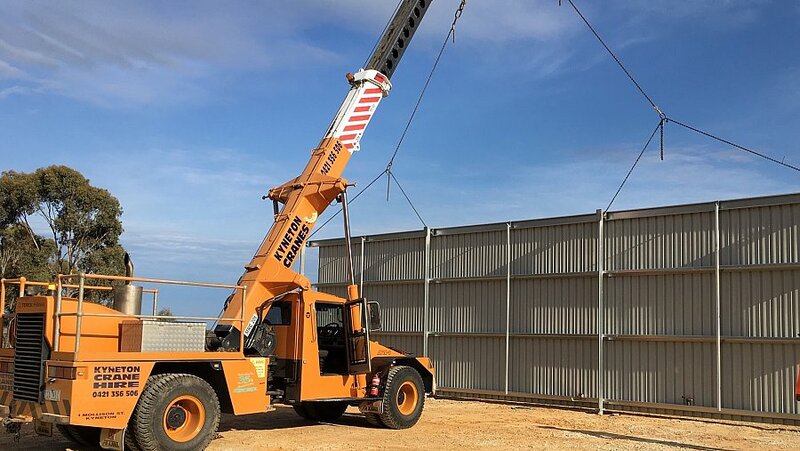 The Terex is being restored to its former glory. 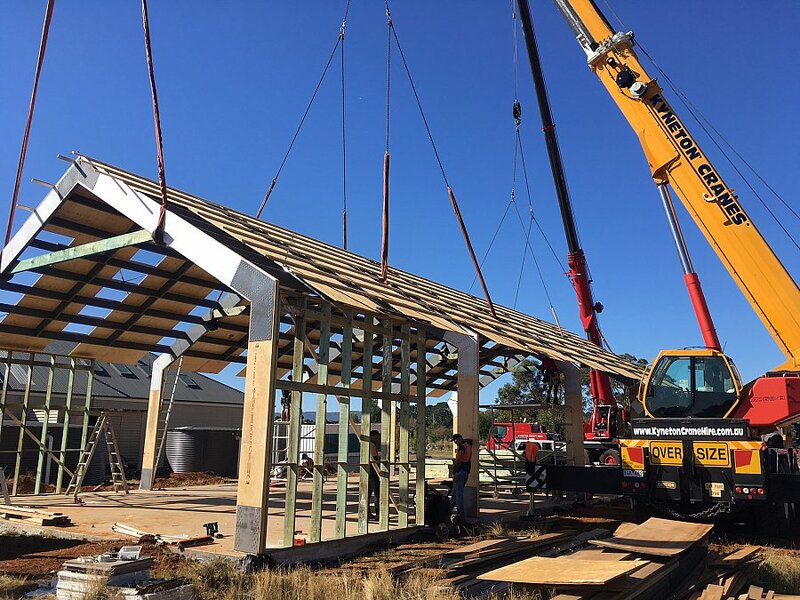 We recently spent the day erecting recycled timber beams to create a verandah for a Daylesford winery. When we told folks we were at Crown Casion at 4am, we wondered why the raised eyebrows. 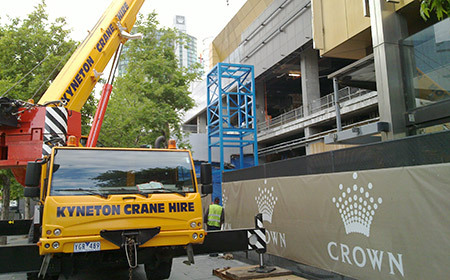 What they didn't know was we were on site at 4am due to traffic restrictions, not on the Blackjack tables, ready to "lift a lift". We installed a new lift shaft as part of the on going constructions. 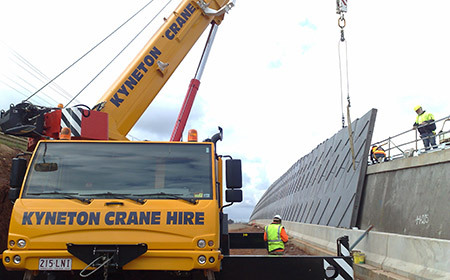 Kyneton Crane Hire worked closely with Winslow Constructions to place retaining wall panels into the new cutting on Vineyard Road Sunbury. 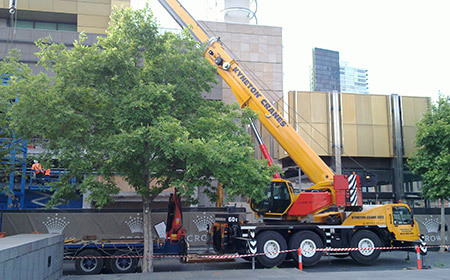 Kyneton Crane Hire were called in to help replace a refrigeration unit at the famous Luna Park in St Kilda.